Grooveshark Music, an app that allowed users to stream music for free by letting them post files, has been removed from the Android Market by Google. Recently, the company was the subject of lawsuits initiated by music companies EMI and Universal Music Group. Is it a coincidence that Google took this action when it's general counsel Kent Walker is expected to testify today in fromt of the House Judiciary Committee about sites that offer counterfeit, pirated or stolen property? It sounds like Google wanted to have its own house in order just in case they had to throw rocks at a glass house. The app has already been removed from the App Store by Apple and is available on BlackBerry devices only by directly installing the app from the Grooveshark web site. The only platform that continues to support the service is webOS where unlimited service costs $9 per month. 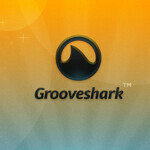 Neither Grooveshark or Google had anything to say about the former's removal from the Android Market.